Like some ghoul in a late night horror movie that repeatedly sits up in its grave and shuffles abroad, after being repeatedly killed and buried, Paul Zummo stalks The American Catholic once again, frightening the heterodox Catholics and leftist agitators of the Catholic blogopshere. -Antonin Scalia, horribly paraphrased. So what could have awoken me from a nearly year-long stupor to return to these pages? If you guessed interminable, poorly reasoned, strawmen-laden, intellectually dishonest, bilge spewed by certain Catholic bloggers furious about any criticism leveled against the precious Pope Francis, you are not only right, you are eerily specifically right. 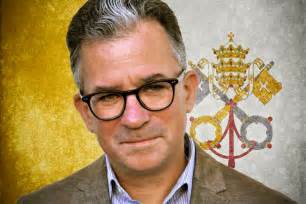 In light of continued concerns expressed by certain Catholics about the current pontificate, his most fervent defenders have fought back with well-reasoned, well-articulated, substantive rebuttals calmly and meticulously pointing out flaws in those concerns. Wait, my bad. In fact they’ve engaged in baseless character destruction. The latest group to come under attack are those dastardly converts – you know, the people who have bravely answered Christ’s call to conversion, in many cases forsaking the religious faith of their childhood and of their families because they have discovered and embraced the truth. Well, it seems they are a bit of a problem. “Now, Schmitz never actually said the pope wasn’t Catholic, but his narrative and that of many of Francis’s angry, vociferous critics adds up to something rather like it.” – Ah, the angry young Catholic convert, a touching image. “The Church is missionary, and exists to spread the Gospel, and some of those it touches will want to become Catholic, and that’s wonderful. People who have thought and prayed their way to faith are special, and bring great gifts with which they have been showered. We love converts.” – Yeah, I don’t know how anyone could interpret that as condescending at all. “But it is a lot more likely that their baggage has distorted their hermeneutic, and they are suffering from convert neurosis.” – There’s that term again: convert neurosis, with some additional baggage thrown in. “A friend in Ireland writes: “I keep seeing people who seem to have converted mainly because the Church teaches things that match their ideological outlook, whereas when I came back it was a case of doing so because I thought the Church had historical authority to teach things even if they sounded mad or were inconvenient.” – Again, what is sniffy and condescending about alleging that many who convert do so for ideological reasons? This is pure theological error, and it being spread in the pages of an ostensibly Catholic publication. (I guess new regalia is not the first poor decision made by the Knights). The Holy Spirit does not choose the pope. The Holy Spirit guides the Cardinal electors, but that does not mean they are incapable of error in their selection. Conversion is an act of humility. It involves a renunciation of sovereignty, the idea that I know best. It involves trust – in Jesus Christ, and in His Church, and in the successor of St. Peter – even when they challenge my preconceptions. Certainly all good Catholics should prayerfully reflect on all matters, and should not spout off angrily against the pope or against any prelate without carefully considering all arguments. Yet is similarly insufficient to reply to these criticisms with rhetorical hand waving. Pretending that converts were wrongfully being neurotic about the papal enclave, and using Amoris Laetitia as a cudgel to prove that neurosis is, well, rather odd considering the many problems with the document. Ivereigh later posted an apology, but this is pathetically weak. Essentially he’s apologizing for using poorly chosen terminology. He doesn’t, however, recant of the substance of his remarks, rendering his apology meaningless. What’s new, this time around, is the readiness of conservative converts to come right out and criticize what principally distinguishes Roman Catholicism from the rest of Christianity — the pope. You’d almost think they were still Protestants. Silk approvingly quotes Iverigh’s contention that what motivates certain converts is their desire for appropriate regalia, then misrepresents the position of Francis critics. Convert (and cradle Catholic) critics do not dispute the authority or legitimacy of the pope or his office. What distinguishes us from the ultramontanists is recognizing that the pope is not an infallible human being, and is thus capable – GASP! – of being less than perfect, and capable being wrong when he is not speaking ex cathedra. In other words, we are not Rex Mottram Catholics. And where did I even find this Silk article? Why from none other than our good pal Anthony Annett, the artist formerly known as Morning’s Minion, who linked to Silk via his twitter page. I deleted my twitter account (again) in part because of the nastiness of, well, pretty much everyone (including myself). Twitter is just not a place for rational discourse. Yet Tony’s twitter page is especially full of nasty invective. A quick perusal of his twitter page that evidently detraction and calmuny are not sins, at least according to Tony, but failure to hue 100% to his environmental policies and/or working for Heritage are. It’s odd that the biggest fans of Pope Francis – the pope who is supposedly bringing in all these converts due to his willingness to open dialogue – are so hostile to converts and their ability to engage in theological dialogue. It’s almost as if they have another agenda. It also suggests that if anyone is demonstrating signs of neurosis, it is them. I’ve seen quite a bit of trashing the old ‘evangelical converts’ in recent years. Throughout the blogosphere, where it used to be the ‘rad trads’ who were guilty of making converts feel unwelcome (or so the narrative went), today it’s the defenders of Pope Francis. Some, BTW, who once condemned those rad trads for supposedly making converts feel unwelcome. As I have noted in the past my bride is a convert and a much better Catholic than me. In regard to criticizing the current Pope, this cradle Catholic takes a back seat to no one. As others have pointed out, the very fact of converts in the Church is an embarrassment to those practitioners of a form of ecumenicism (including, I would argue, This Pope™ and his minions) that holds that Protestants are just fine right where they are. “Ah converts! These actually believe that Teachings on Faith and Morals are infalliable. HELL NO. The sovereign person embraces his sovereignty over himself in the embrace of The Supreme Sovereign Being and our Sovereign King, Jesus Christ. JUST HELL NO. I am a convert. I almost didn’t survive RCIA at our very . . . I can’t in good conscience say Protestant . . . parish. Indeed, I was not sure the nun in charge of the program would let me be confirmed at Easter. Maybe they were afraid I’d take my husband elsewhere. Lack of parishonners means lack of cash. And in retrospect, I rather wish she had not. I would not have skin in the game then. Perhaps I would not be angry over what is occuring. As for dragging my husband elsewhere-I did not put that thought in his head. He thought about it long before I came into his life. Converts are in a real sense immigrants. All of this just shows a very age old hatred of the immigrant. If this book doesn’t even know that Mathias replaced Judas I have no faith in its content. So is there a volume that lists the things that are accepted but not found in the Bible? Welcome back Paul. Good column. Well said. I like it that Austen Ivereigh, et al., are helping spread the idea that there are critics of Pope Francis. The take-way, at a minimum, is that our dear Pope is controversial and has enemies within the Church on whom Austen is conferring credibility and a certain respect. Perhaps we need a new term: “UntraMottramism”! I’d like to second Jay Ansderson’s mention of the CCC, the Catechism of the Catholic Church. Another item is the 1912 Catholic Encyclopedia (see https://en.wikipedia.org/wiki/Catholic_Encyclopedia for a list of links to online versions) and the 1967 New Catholic Encyclopedia (second edition 2002). To surrender our sovereignty to the Supreme Sovereign Being and our Sovereign King, Our Lord Jesus Christ PERFECTS our sovereignty over ourselves; our sovereign personhood PERFECTED with which “We, the people” institute the state and establish our sovereign nation PERFECTED, our legacy and our duty to our constitutional Posterity. Our constitutional Posterity are begotten in perfect moral and legal innocence, as “their Creator” creates all souls and endows all souls with free will, intellect, all unalienable, innate human rights, sovereign personhood and perfect moral and legal innocence. It is JUSTICE to our constitutional Posterity, all future generations, to inherit our perfected sovereignty and ours and their perfected sovereign land. The newly begotten, perfectly innocent sovereign souls of our Posterity establish our sovereign land from the very first moment of existence as “We, the people” forever do. Divine Providence is the Holy Spirit of The Supreme Sovereign Being, the perfect Love between the Father and the Son, Our Lord, Jesus Christ. Ratified by every state THE UNANIMOUS DECLARATION OF INDEPENDENCE speaks to all Posterity, “We, the people” of every generation. “It involves a renunciation of sovereignty, the idea that I know best.” Sovereignty is NOT pride or “the idea that I know best.” Sovereignty is a maintenance of our original innocence into which “We, the people” are created by “their Creator”, virginity and discipline over the self. Sovereignty over the self is our legacy to our constitutional Posterity.